These heavy plaques are made of real marble. 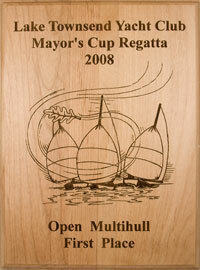 They engrave to high contrast and look great with event graphics, or boat line-drawings. 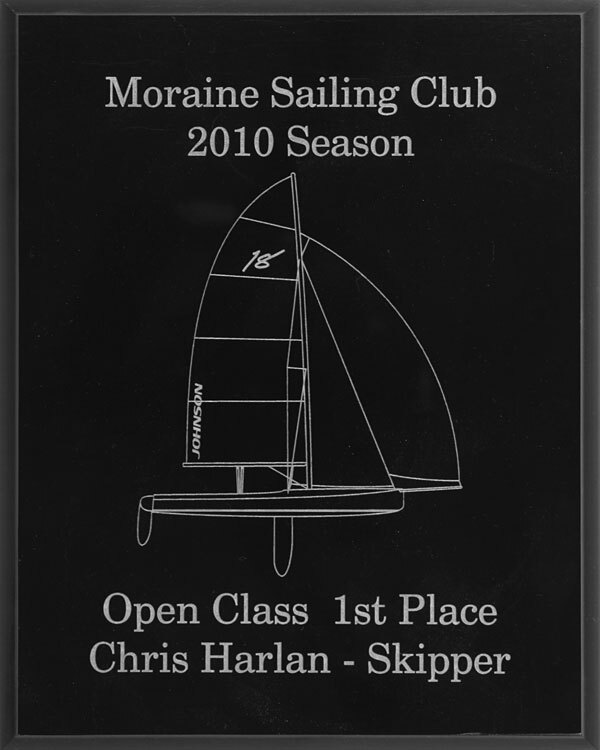 We can engrave any text you like in a wide variety of fonts, scaled to fit. The sample shown here was made with customer-provided artwork. The plaques come in three sizes and have "keyhole" mounting holes in the back.